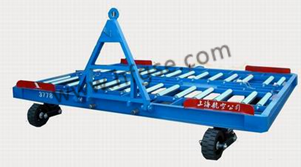 7T Mutli Purposes Container and Pallet Dolly - Non-power equipment - Products - Shanghai Hangfu Airdrome Equipment Co., Ltd.
1. 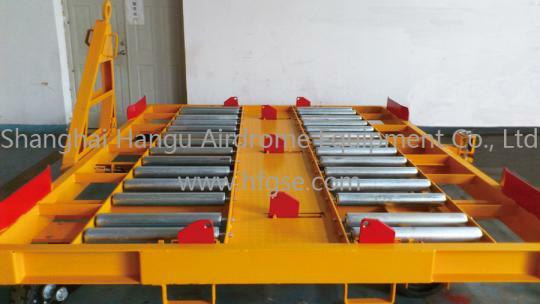 There are 28 thick gauge hot dipped galvanized rollers for the transportation. 2. There is a fool-proof design hitch so as to prevent detachment of the towed behind. 3. Brake will be applied when the tow-bar is in upward position and below the horizon. 4. The front tire is of swivel wheel design which will minimize the turning radius. 6. 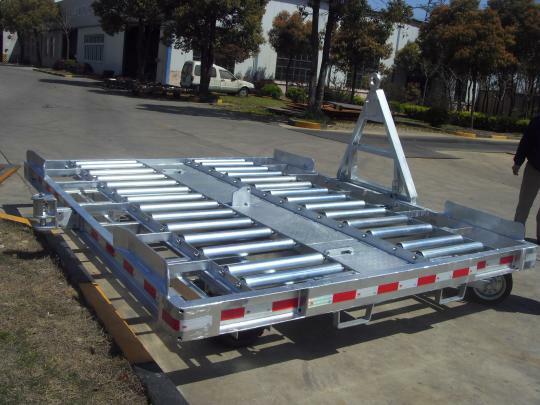 There are separators in the platform for different sizes of containers and pallets. 8. Suitable for P1P and P6P pallet and LD1, LD2, LD3, LD4, LD7, LD8, LD9, LD11, LD26, LD29 AND LD39 Container.